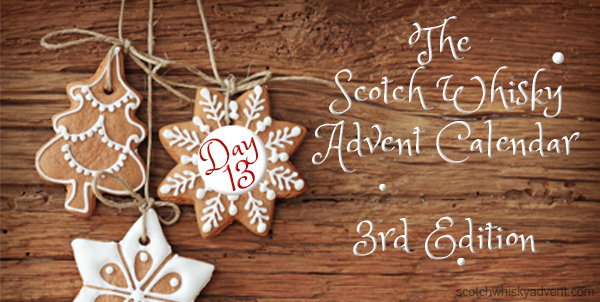 Welcome to lucky day 13 of the 3rd edition. As a treat for being so lucky we have the oldest whisky so far in the lineup waiting to be poured into your NEAT glass. Auchroisk (pronounced Ah-thrusk) is a Speyside distillery that started production in 1974. Owned by the Diageo group, the brand that is most recognizable to consumers is Singleton as it was called starting in 1986 to make it easier for those outside of Scotland to pronounce. It was released as a Flora and Fauna series by Diageo in 2001 as Auchroisk but then changed back to Singleton of Auchroisk in 2008. Now that we are even more confused than ever but thankful that A.D. Rattray managed to get this rare older expression of a unique distillery, lets get on with some tasting. 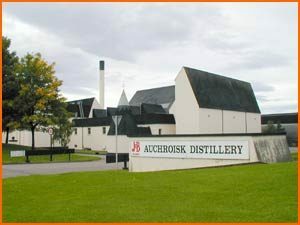 Auchroisk is a big distillery in the Diageo stable and produces 3.1 million liters of pure alcohol per year and is mostly used for the juggernaut Blended Scotch brand J&B. A.D. Rattray Auchroisk 1991 – Aged for 25 years in an American Oak ex Bourbon barrel # 7531 without chill filtration or caramel color and at the cask strength of 53%. Nose: Fresh sweet spiced apples ready to bake into a pie. If I were to pick the apple I would say Granny Smith. Palate: Freshness and sweet zesty tangy apples and pears with a hint of star anise, clove and vanilla. Finish: 53% is there but not overpowering and the apple pie that started on the nose is still there for me but this time the baking is done and some biscuit crumble base underlines the fruit. This is a great example of a fresh older whisky. I absolutely love this style of single malt. Zesty freshness meets barrel aging complexity. A rare find for A.D. Rattray and one that I was really happy to scoop up for the 3rd edition. Alas there are absolutely no bottles available to purchase which is such a shame and unfortunately the reality of single cask whiskies. Lets see what the fun and famed whiskylassie thinks of this rarer older treat here. On this day in the 2nd edition we had the pleasure of introducing Single Cask Nation for their debut in our calendars. 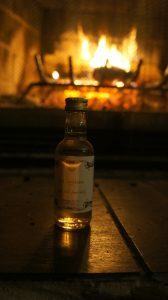 Their Undisclosed Islay 2008 was also the first whisky ever to have zero full bottles available after we took whisky for the Scotch Whisky Advent Calendar mini’s. It is fitting I guess that today’s dram suffers the same fate (booo). It was indeed fantastic to have a 20 something whisky today to showcase what good older whisky can bring to the table but also underline how good some of the younger whisky has been so far. Remember that age is only an indicator of expense not quality. Tomorrow we are tasting another single cask from the guys at Ainneamh. This time from a different region. Until tomorrow you had better savor your Auchroisk 25 year old because there is no more unless you seek out a second calendar. This ones a beauty. Got the vanilla, green apples right off the top and hard candy. Anise as it hits after. Very nice. Got into this one before it was even dark out and it’s only the 13th. By the time Christmas Eve hits it may replace my morning coffee. A very nice whisky! Could be my favourite thus far. Really out done yourself this year! I am staring at all of these mini bottles of scotch and can’t help but think how awesome it would be to check into a 5star hotel and open the mini bar and find all of these whiskeys!